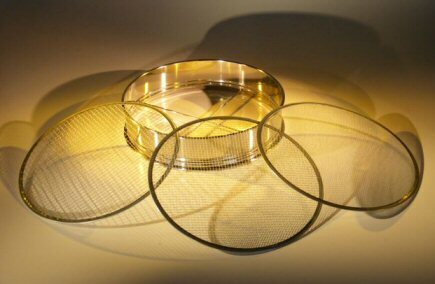 Stainless steel 4 piece sieve set with 3 screens. Used to sift soil, gravel, mulch, akadama and grit. Frame measures 11.75" x 2.75"